The Omnia has been well designed to maximise the space on a narrow lot. The master suite with a large walk-in-robe and ensuite is located to the front of the home, offering privacy from the hustle and bustle of the home. As you continue through the home, the three minor bedrooms are located towards the centre, with a large shared second bathroom and separate W/C. Located to the rear of the home is the open plan kitchen and living area, connecting to the large alfresco. The laundry is located off the kitchen and feature a large walk-in linen. 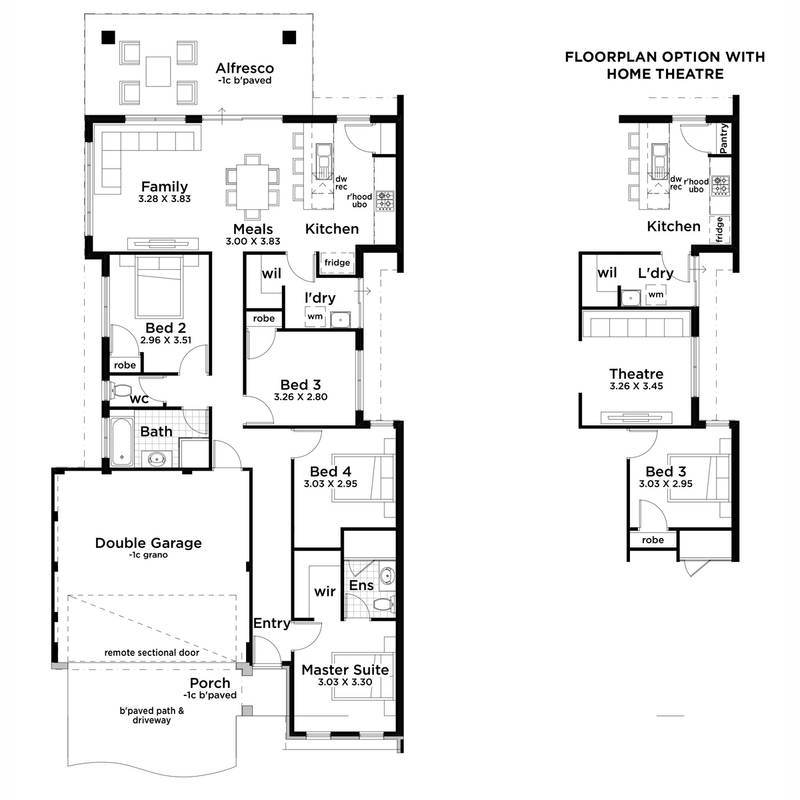 The Omnia has also been designed with three-bedrooms and a home theatre.